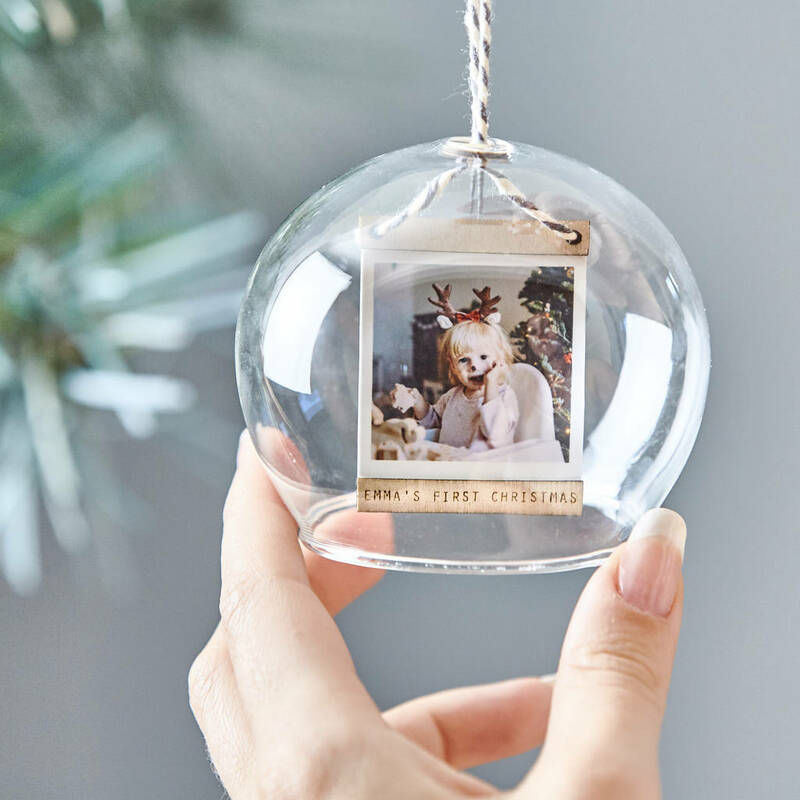 Our Personalised Photo Bauble is a great way to celebrate Baby's First Christmas with the whole family. 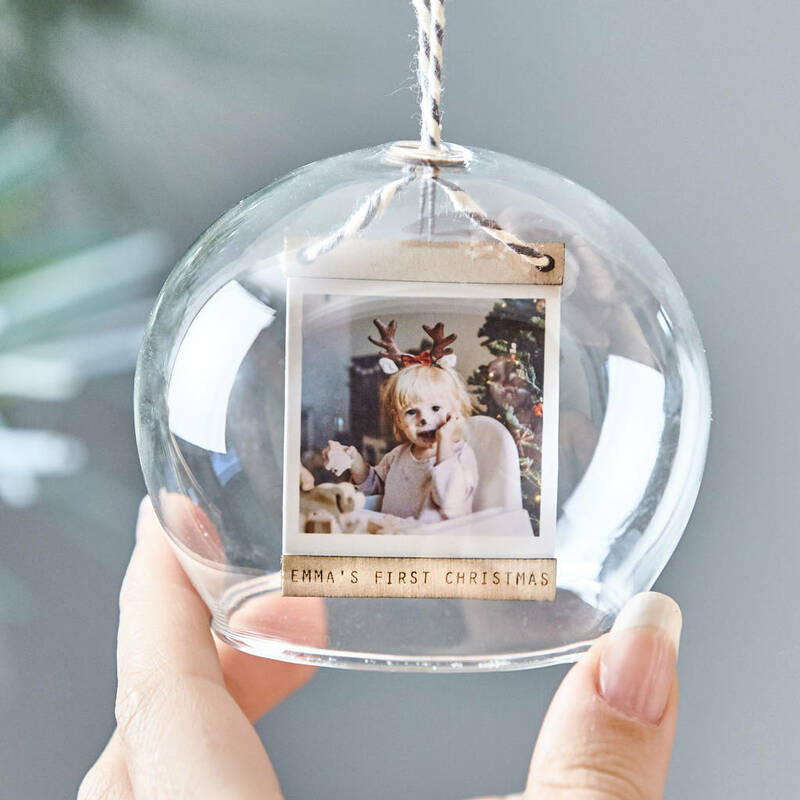 Add a really personal touch to your Christmas tree this year with a beautiful glass dome bauble featuring your favourite photo of your little one. Personalise the little wooden frame with a thoughtful message to create a wonderful keepsake for babys first christmas. Your beautiful bauble will arrive strung with grey and white bakers twine, ready for you to hang right away. Please Note: Price is per bauble. Personalisation will be identical to information entered, please ensure all wording is included when placing your order. Please keep your personalisation short and sweet, as per the example photo. Sending your photo couldn't be easier, once your order has been placed you will need to go to ‘my orders’ section. Here you can then create an order enquiry where you can attach the photo you would like to use for your Photo Dome Glass Bauble. Our baubles are made from glass. The mini frame is made from Norwegian Birch Wood. This product is dispatched to you by Sophia Victoria Joy.